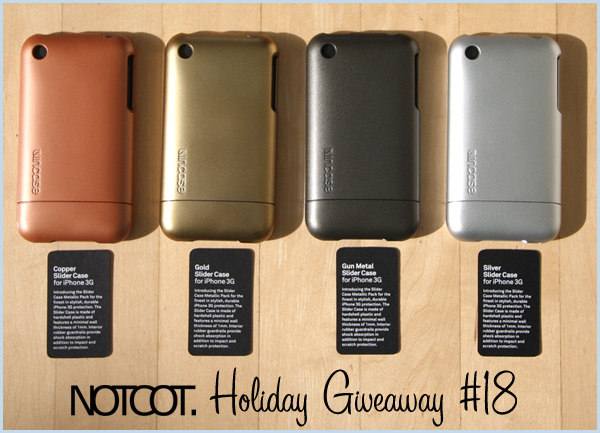 TO WIN: Leave a comment here ~ Tell us about your mac! ENTER BY 12/02. WINNER: Caroline in NY! Ok, so everything got a little jumbled up, and i got a bit behind on what i had planned for today with all the Thanksgiving festivities! So switching things up a little, here’s the second (of 5!) 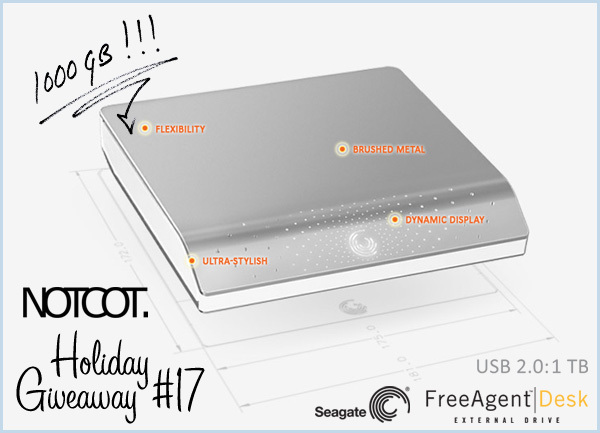 giveaway from our 2008 Gift Guide Sponsor, Seagate! I know, the first Seagate Giveaway isn’t even over until tonight, but this one is even more exciting! Especially if you’re a mac user! 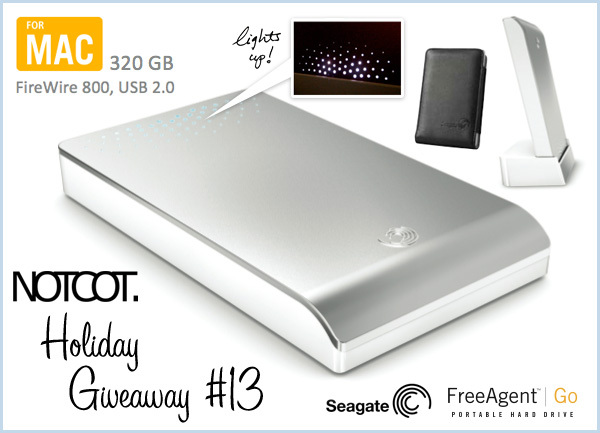 Today’s giveaway is the Seagate FreeAgent Go 320 GB External Hard drive for Mac! I know, you’re probably wondering what the difference from the other one is, so here you go: (1) Silver (not blue) (2) has Firewire 800/USB 2.0 and comes with the FW 800 cable, FW 800 to 400 convertor cable, USB cable, and USB power cable (the other was only USB 2.0, and came with a USB cable) (3) has travel case (4) has desktop docking station… and it’s formatted for Mac and Time Machine-ready! Basically you get even MORE goodies with this one, and it can have transfer speeds that are nearly twice as fast! 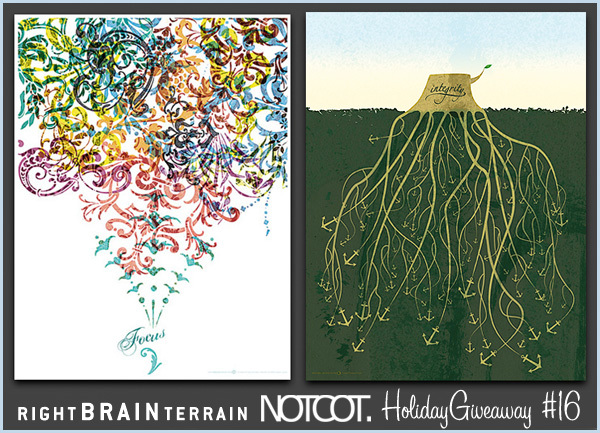 So, for this giveaway, tell us something about your mac in the comments for a chance to win! (And non-mac users, don’t worry there are more drives to come…) See more pictures of this bundle on the next page! 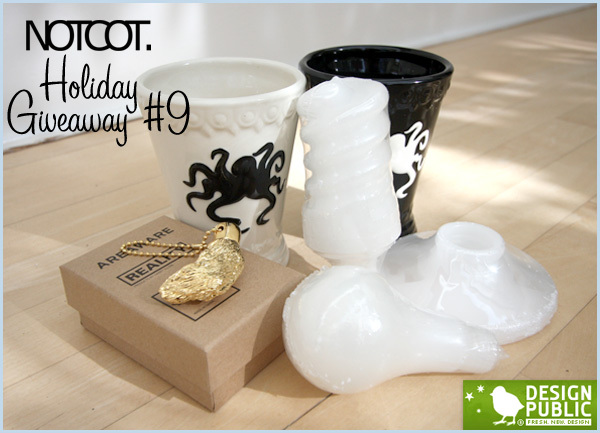 TO WIN: Leave a comment ~ Tell us something glow-in-the-dark related! ENTER BY 12/1. WINNER: Leah in Maryland! Happy Black Friday! Before you get to all your crazed online black friday shopping at all hours… Giveaway #12 is from our friends at Elsewares (they are also the geniuses behind Supermarket which is like a beautifully curated Etsy - awesome stuff from indie designers! 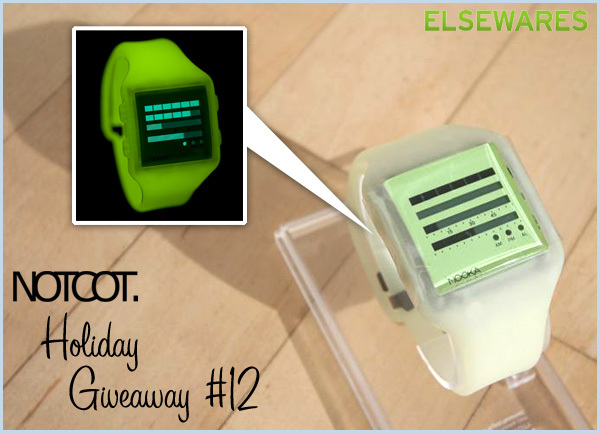 )… So for this giveaway, you have a chance to win the Nooka Glow Zub Zen H! Have you heard the back story on this glowing timepiece? Earlier this year Nooka made 15 of these to gift to Kanye West at the end of his Glow-in-the-Dark Tour ~ as blogged by Nooka founder (and Parson’s adjunct instructor), Matthew Waldman. This self proclaimed “native new yorker, bilingual japanese/english, design genius in brand development, graphic and product design” has really grown Nooka into a fascinating brand to watch, and the Kanye move… well that was just brilliant… and a Glow In The Dark Watch! Who doesn’t want that? So check out more pics of this glowy gummy-esque time piece on the next page, as well as a coupon to the super fun Elsewares! TO WIN: Leave a comment here ~ How about tell us what you’d store on it? ENTER BY 11/29. WINNER: Taryn in Kansas! Can you believe we’re up to Giveaway #10 already? It’s been incredibly fun giving away all of this stuff to you guys, and so fun to read all your comments! But don’t get tired yet, lots more to come as well! 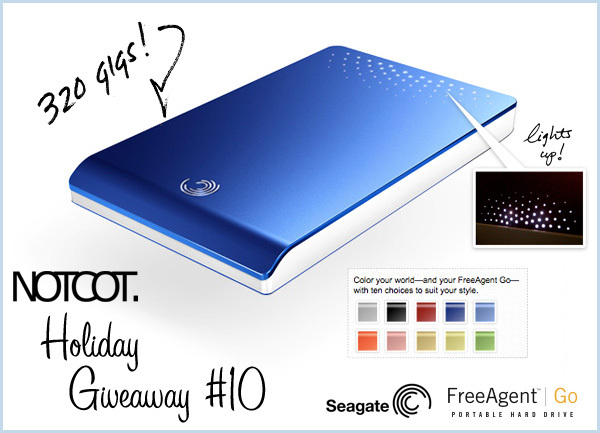 Today’s giveaway comes from our big 2008 Gift Guide Sponsor, Seagate! This is the first of 5 giveaways from Seagate! TO WIN: Leave a comment here ~ tell me some animal/adventure story? ENTER BY 11/26. WINNER: Jeremy in Alexandria, VA! 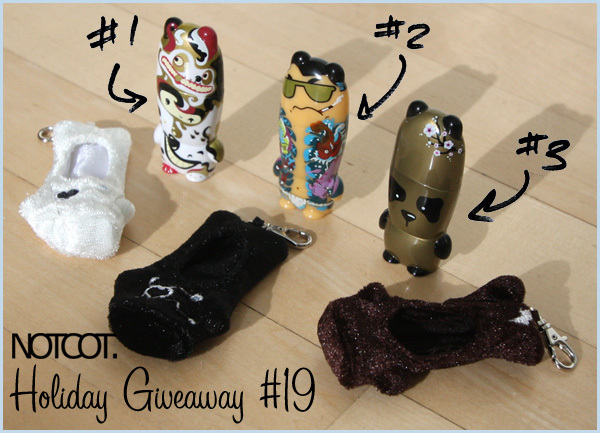 Not to be biased or anything, but i am so giddy about this giveaway even more than any of the others so far! This was a late addition, cooked up over late night emails with Otter X (aka Patrick Ma, founder of Rocket World and T.A.D. Gear) ~ where upon ordering myself an early bday present in the form of the awesomest fleecy hoodie EVER, he offered to give one away to you guys too! And mine came on friday, and the temp dropped ridiculously at night, and its the coziest thing ever… so i’m even wearing it NOW! So here’s the Rocket World Shag Master Creature Hoodie (what a name, right?) - its the third in a line of exclusive fleeces from Rocketworld (pics of the first two on the next page! )… the biggest difference for me is that this one is versatile with its removable bear ears (which can also be switched for horns or anything you can make and velcro on!) - so less commitment to being an instant-furry with the full face and claws! These hoodies are the perfect combination for those of us who adore the Rocket World IWG well armed animal toys and the high quality tactical gear of TAD Gear. This is a variation of the original T.A.D. Gear Shag Master fleece. 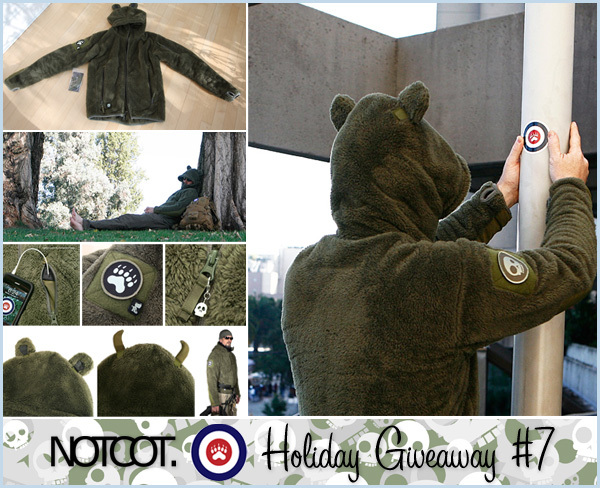 If there’s one thing you can’t miss about Patrick, his attention for detail is impeccable ~ combine that with his love of toys, nature, product design and a background in the army… is it really surprising that even this Creature Hoodie has had orders heading to soldiers in Iraq and A-stan as well as hollywood studios? His clientele on any given day ranges from die hard toy collectors to special forces, so you can only imagine. ANYHOW… you know i can rant on for eons about how incredible the company and products are, but lets move on to showing you all the details and fun photos of them skating at night with the hoodies on the next page, and to win one (he’ll drop ship it in your size!) leave a comment with some adventure/animal tales! 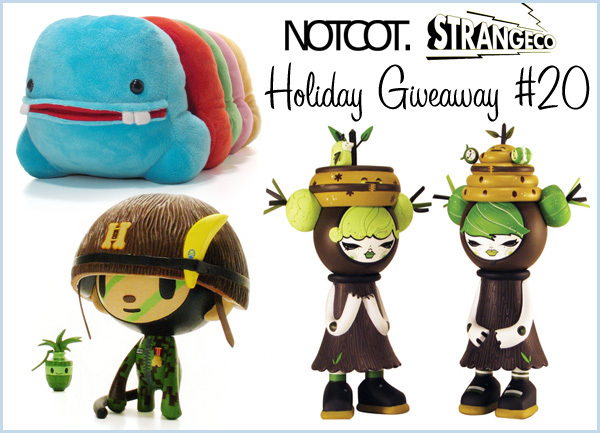 TO WIN: Leave a comment here ~ make it fun! ENTER BY 11/25. WINNER: Tim in Pittsburgh, PA! 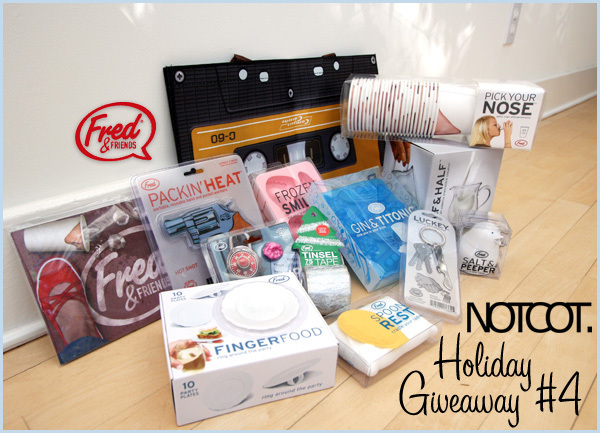 Our friends at Perpetual Kid, not only have nearly everything from Fred & Friends as seen in the Fred Giveaway, but more gifts and playfulness than you can imagine for just about ANYONE on your list. 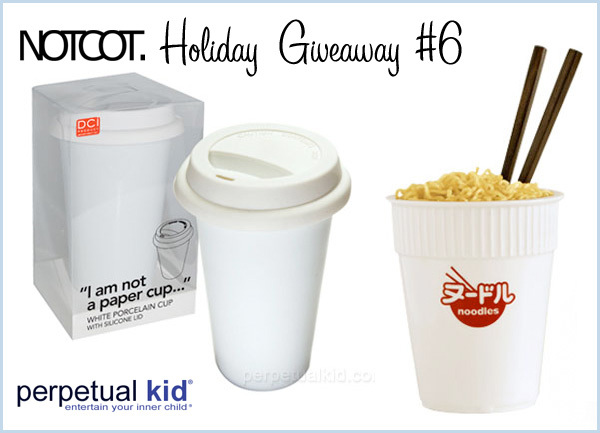 So for a fun weekend giveaway, here’s a silly duo that i bet most can relate to… coffee cups and cup o’ noodles ring a bell? Well old classic bad habits of my boarding school/college career have been reinvented into ceramic icons… One winner will get: 1 I Am Not A Paper Cup which is double walled porcelain with a silicon lid, and 1 Ceramic Noodle Cup… more images and coupon on the next page! 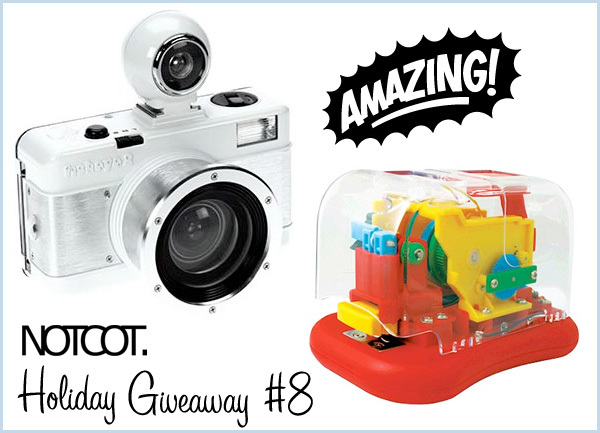 TO WIN: Leave a comment ~ this time tell us something fun about kids toys! ENTER BY 11/24. WINNER: Michal in Florida! 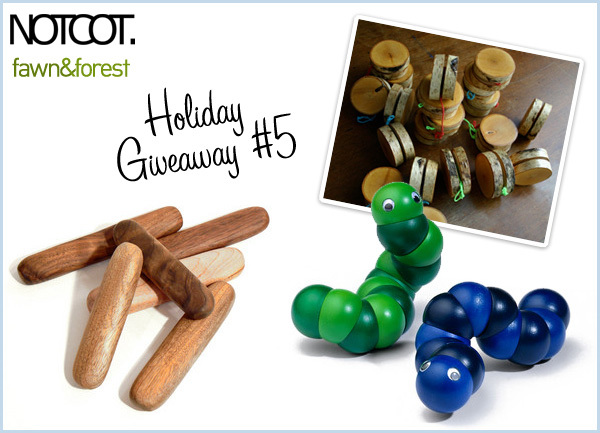 Since this one is drop shipping, the winner will get to pick wood/colors for: a Earnest Effort Wood Baby Rattle, a Naef Juba Worm, and a Suddenly, It’s Real! Wood Yoyo! See more closeups of the products below, as well as stories behind the designers, and a coupon to Fawn & Forest! TO WIN: Leave a comment ~ this time lets mix it up, and in honor of Fred we’ll pick one of the comments that is most amusing! ENTER BY 11/23. WINNER: Maria in Chicago, IL! So it turns out Fred & Friends, over at World Wide Fred, really love you guys and the NOTEmpire… i was totally expecting them to send over 2-3 items for today’s giveaway, and this giant box of goodies appeared today! This box will single handedly transform your kitchen/locker/packages/etc… it’s ready to really spruce up your next party! So what have we got?